To fulfill the dreams of smartphone lovers, LG has crafted world’s most innovative smartphone, LG G FLex2 with flexible display in Indian market on 18th March priced at Rs 55,000 slated to go on sale this March in Platinum Silver and Flamenco Red colour option. 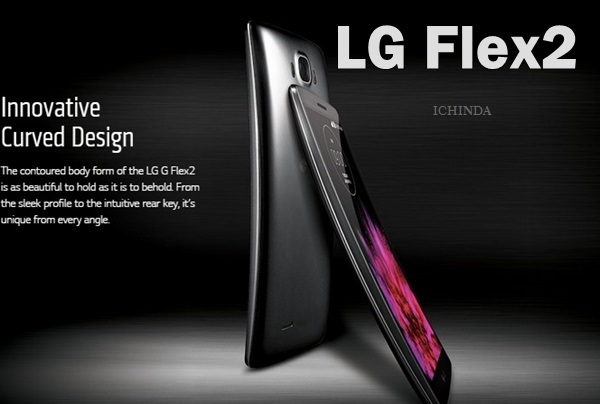 LG G FLex2 debuted at CES 2015 and first launched in home Korean market on 30th Jan. 2015 priced at Flex2 at KRW 800,000 (Approx. Rs. 45,400). LG G FLex2 is listed on Amazon Germany last week at EUR 599 (approx. Rs. 44,076). The all new LG G FLex2 supports Single SIM, 4G LTE-A with tri-band carrier aggregation, HSPA+, Wi-Fi 802.11 a/b/g/n/ac, Bluetooth Smart Ready (Apt-X) 4.1, NFC, SlimPort, GPS/ A-GPS, GLONASS, and USB 2.0. offers you a 5.5-inch full-HD curved P-OLED (1080×1920) display with a 403ppi pixel density and Dura-Guard glass technology offers you crystal clear wide-angle view perfect for watching movies, playing games and reading e-books. While 64-bit octa-core Qualcomm Snapdragon 810 SoC with Adreno 430 GPU and 2GB of LPDDR4 RAM and latest Android 5.0 Lollipop OS makes your multitasking a fun and gives superior gaming environment and allows to run your apps smoothly. It comes with 16GB and 32GB storage variants with monster 2 TB microSD card support. LG G FLex2 sports 13-MP Primary Camera with dual-LED two-tone flash, autofocus and optical image stabilisation (OIS+) for shooting and 2.1-mp front camera for clicking selfies and making video call. LG G Flex2 is packed with a powerful 3000mAh battery with fast charging features which allows you charge your smartphone 60% on 40 min. It measures 149.1×75.3×7.1 x 9.4mm and weight only 152gm including innovative features like Gesture Shot recognisable from up to 1.5 metres away, Glance View and Gesture View. At last few honest word, LG G Flex2 is the replica of your dream smartphone. What you think? Please be first to write a review.